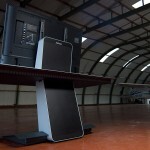 Discover the new digital visual ergonomics thanks to DeskWall. 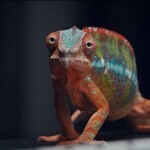 Witness the launch of the latest news from GESAB, a new ecosystem that will change control centres around the world. 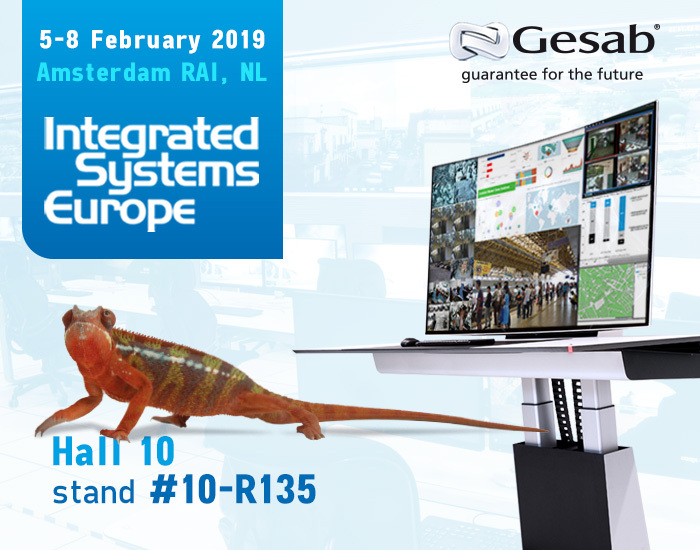 Begins the new edition of ISE Amsterdam and GESAB will participate one more year to launch its latest news to the European market. 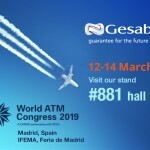 A unique opportunity to discover the new concept of GESAB for critical work environments 24/7 where the integration of technology in all its solutions is key. More than 28 years of experience in the development of international projects have made GESAB an expert and leader in the control centre sector. A position as a reference that has led GESAB to lead a change, a new revolution in the way of understanding critical work environments with a view to the future. Innovative and differential solutions such as the commitment to Smart Consoles, where the new generation of ACTEA consoles grows thanks to the presentation of the new ACTEA Max, a differential design and a more robust lifting structure for its Sit & Stand system. 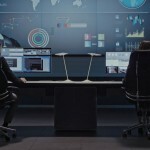 GESAB is committed to a control centre as a new ecosystem where design, technology and ergonomics come together to create a perfect work environment. A new way of understanding these spaces by placing people in the centre, as the true protagonists of everything. A philosophy materialized through GESAB Health, a global health concept to achieve higher levels of satisfaction and a better user experience, which translates into faster and more efficient decisions. Innovation aimed at improving the health of operators in critical environments through differential ergonomic solutions and present in all GESAB proposals. In addition, ISE Amsterdam will be the reference event in Europe for the presentation of the new DeskWall 2.0, more versatile, smarter and more powerful. The dynamic KVM system developed by GESAB gives a qualitative leap to offer users a new era in the management of critical environments; an evolution in continuous movement to offer the best experience to the operator. GESAB completes its proposal for this new edition of ISE with the DataWall universe, a firm commitment to offer the most cutting-edge audio-visual systems, tailored solutions to achieve the greatest efficiency in visualization. 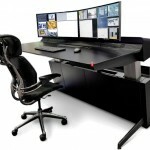 ← Why investing in health and ergonomics in control centres?